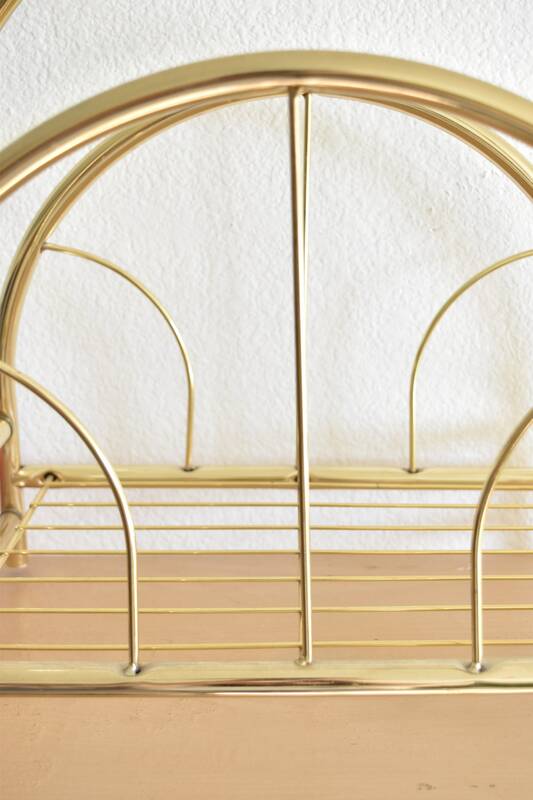 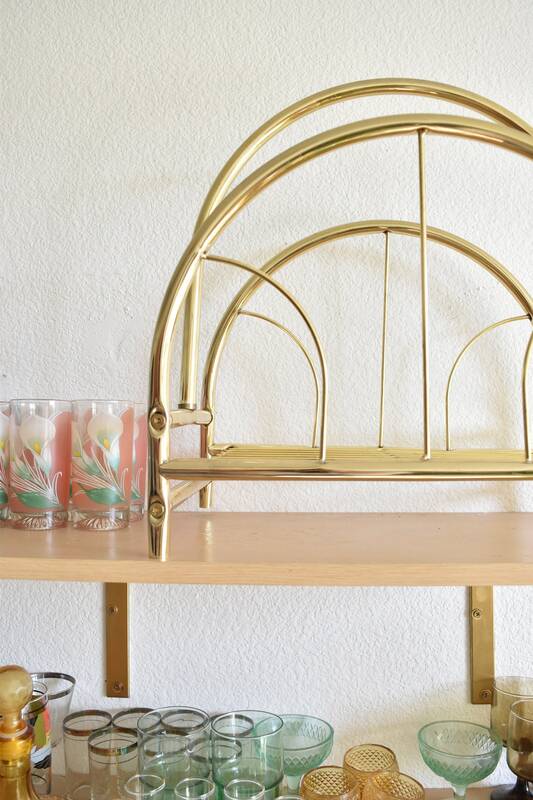 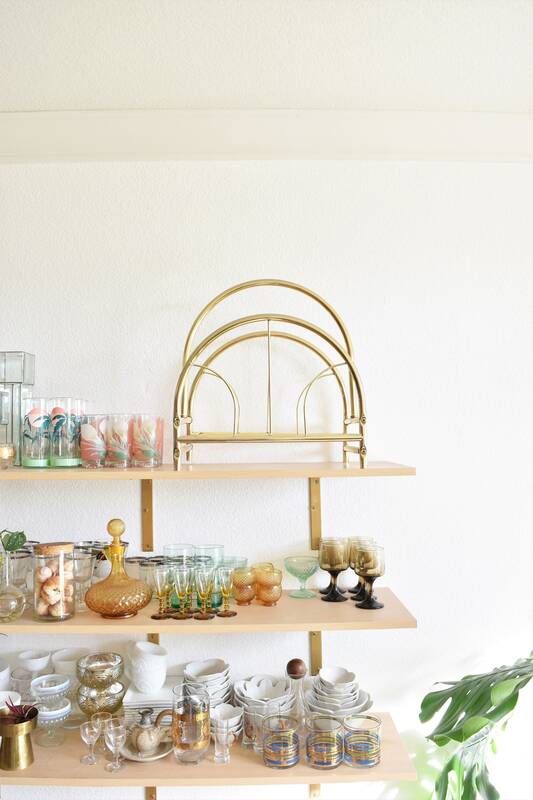 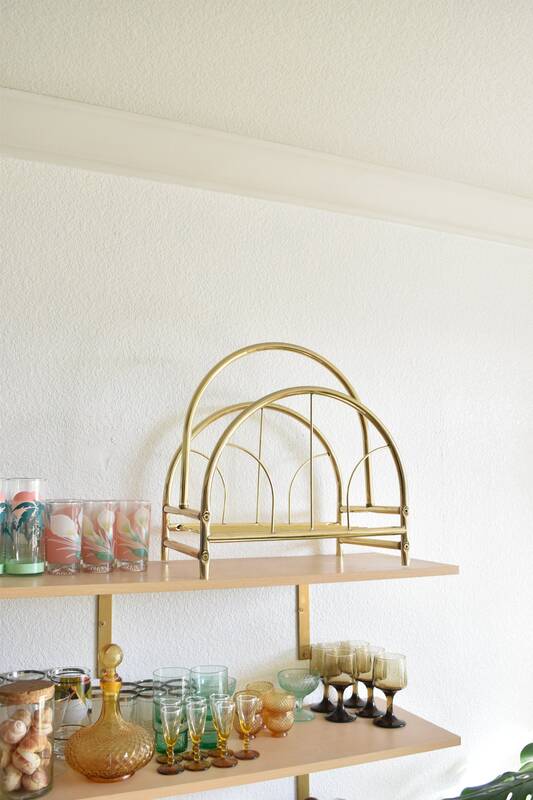 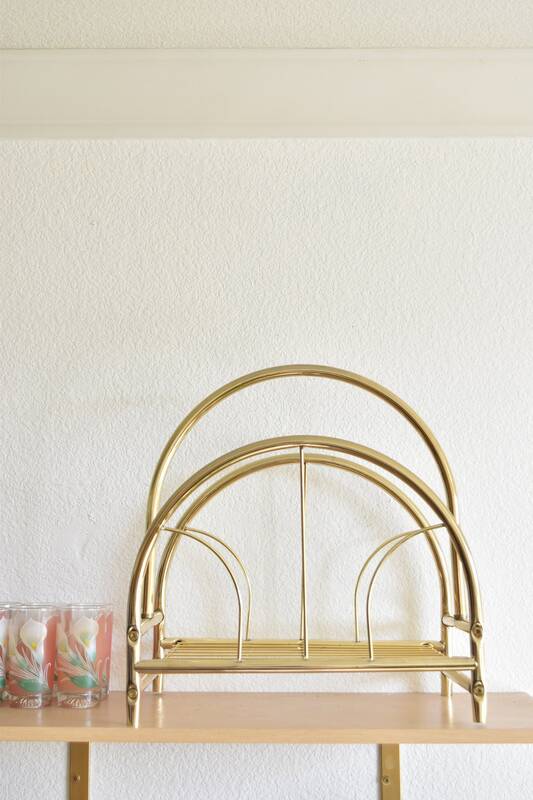 Mid century modern gold tone magazine rack with an ornate design. 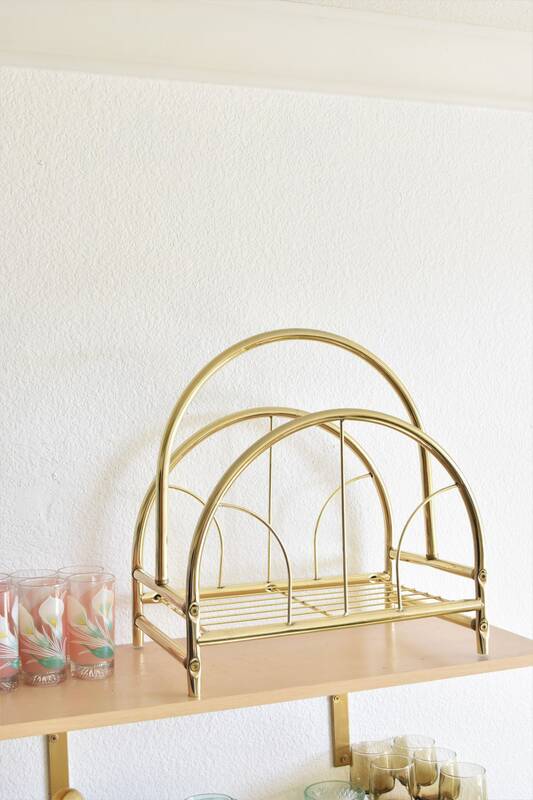 Great for storing magazines and books. In good condition. 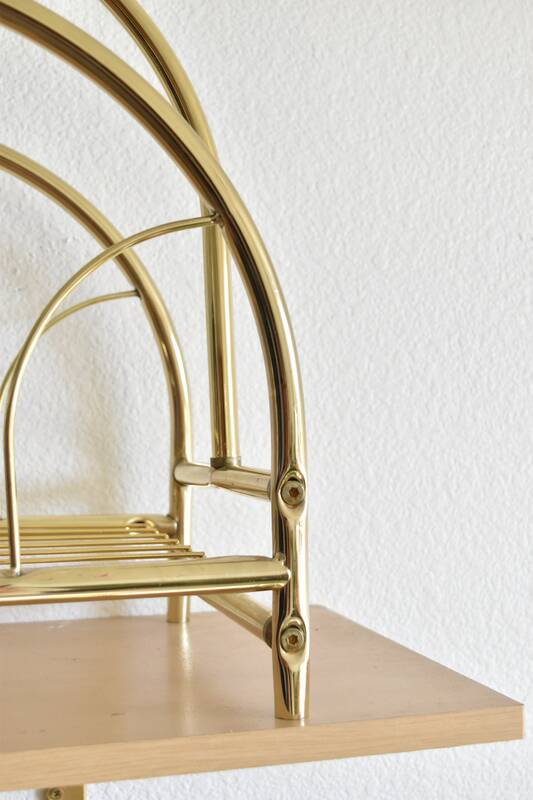 Sturdy with no structural issues, but one leg is slightly off, but still sits fine. 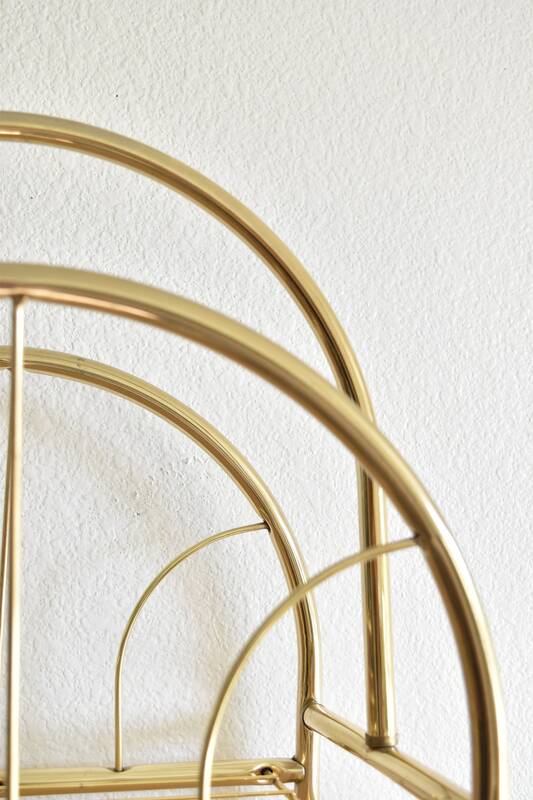 Great for adding a touch of glamour to any décor.